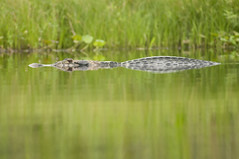 The black caiman is a large crocodilian and, along with the American alligator, is one of the biggest extant members of the family Alligatoridae. It is a carnivorous reptile that lives along slow-moving rivers, lakes, seasonally flooded savannas of the Amazon basin, and in other freshwater habitats of South America. It is a quite large species, growing to sizes of at least 5 m and possibly up to 6 m in length. (The specimen on the picture shows only half of its body length, which was estimated 4-5m). - The black caiman is the largest predator in the Amazon ecosystem, preying on a variety of fish, reptiles, birds and mammals. They are generalists and apex predators, potentially capable of taking any animal within its range, including other predators. 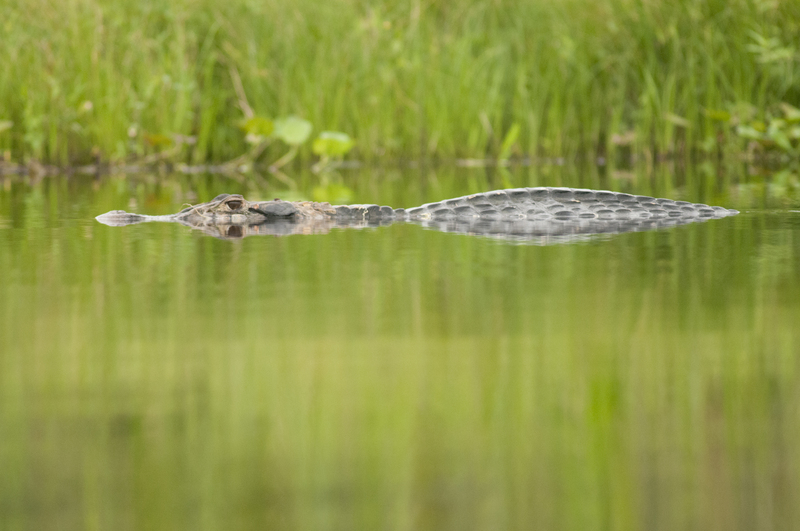 Few ecological studies have been carried out on the species but it can be noted that the black caiman has its own ecological niche that enables coexistence without too much competition. As the largest predator in the ecosystem, it may also be a keystone species, playing an important role of maintaining the structure of the ecosystem.